When Luke was in preschool he was hit, bitten and ridiculed because he appeared different to others. Luke was diagnosed with Autism at the age of six. From little on Luke had an extreme love for animals and at the age of 6 he started volunteering for the Lakeshore Humane Society. Luke found a need and a purpose, the animals accepted Luke for who he was. Luke socialized, walked, helped with food drives, fostered and adopted animals some with special needs because he said not everyone understands them like he does. Luke would stay up thru out the night, feeding animals without moms, helped animals give birth, or keep animals warm so they knew they were not alone or until they took their last breath knowing someone cared. When Luke was in 5th grade, he was told by his teacher that he would never amount to anything to not even try and he didn’t need breaks he just wanted them to get out of class in front of his entire class. This motivated Luke to want to help other kids like him-the kids that seem different or just don’t fit in. Luke transferred to another school where he was fully accepted and thrived because of the environment the staff created and modeled. Kids accepted Luke for the person he was even though he was different. 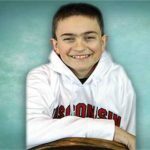 When Luke was 10 he found the Miracle League of the Lakeshore, a rubberized baseball field for kids with disabilities. Everyone bats, everyone plays, everyone wins and each individual is placed with a buddy. Luke was inspired by others on the committee who were going out in the community spreading awareness of the field so Luke decided to do it too. He helped spread awareness of the field, special needs, acceptance, and bullying, within three years the committee as a whole raised 450,000 dollars to build the field and this past June the all accessible playground went up so all kids can play together. The Miracle League has just completed its third season. Luke has helped recruit players, coaches, and buddies. Luke has helped with fundraisers like at Sweet Frogs, walked in the parade alongside other players, and helped in a room at special needs trick or treat. Luke also wanted people to see his Miracle League colors so he sang the National Anthem at the field and God Bless America at the Timber Rattler game. Luke has many sensory needs but threw out the first pitch at the Timber Rattler game and was water boy for the Green Bay Packers to promote the abilities of those with disabilities. Thru his community work Luke found Generations Against Bullying.  Generations Against Bullying is unique because it puts the power to stop bullying in the hands of kids. It was started when a high school received two bomb threats in two consecutive years. Luke believes that when you stand up lives are saved and bullying is reduced.  Generations Against Bullying has a peer ambassador program and also brings a movie and speakers to communities to combat and educate others about bullying. Luke wants to create a safe place for all a place where there is no fear of being bullied or judged. 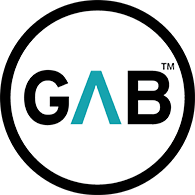 A world of full inclusion, where everyone is accepted for who they are. Luke talks about bullying and acceptance in his speeches and has stood up to bullying incidents in his school and community. When Luke gives his speeches, he knows he is spreading his word further. Others come to him and ask him how they can volunteer and make a difference and others tell him how inspired they are by Luke. Luke volunteers because he says it feels good, volunteering strengthens and changes communities, that you make lifelong friendships, and that if people don’t step up to help communities or organizations can fall apart. Most recently you can see Luke as a manager for the 8th grade Chiefs football team. Luke has a huge love for football and wanted to be part of the team. Luke couldn’t ask for better coaches or teammates. Luke even got to complete his first touch down because they are all so accepting and heartfelt and Luke is treated as one of their own. Luke uses his adversities to help others and build resilience for what he experiences in life. Three examples would be when he helped the Manitowoc Firefighters with their boot drive to raise money for Muscular Dystrophy because his dad is affected by it and when his mom was diagnosed with cancer a pink tutu club was formed by friends and Luke had no problem sporting his pink tutu even in public in support of those affected with cancer. This past June his military uncle passed away and Luke was the one who accepted the flag when the military rites were given. Luke now reaches out to help our veterans. He helped at a gun range serving food to raise money for military vets. He also reached out to the Green Bay volunteer center to help bring in donations to attractions/restaurants so veterans can win date nights. At Christmas time Lucas will be filling Christmas bags to be distributed to veterans and their families. Luke jumps in wherever he is needed. With the help of Monroe school and Grace Church Luke did a book drive and put reading in the hands of kids in Washington D.C. has raised funds for the Manitowoc K9 and did bell ringing that helped with the Christmas distribution for the Salvation Army. Also Luke’s friend Jacob wanted to do some random acts of kindness so they took treats to places like the police stations, and Miracle League sponsors to show their appreciation. Luke maintains good grades and is also involved in school activities like basketball, tennis, and Lego League. 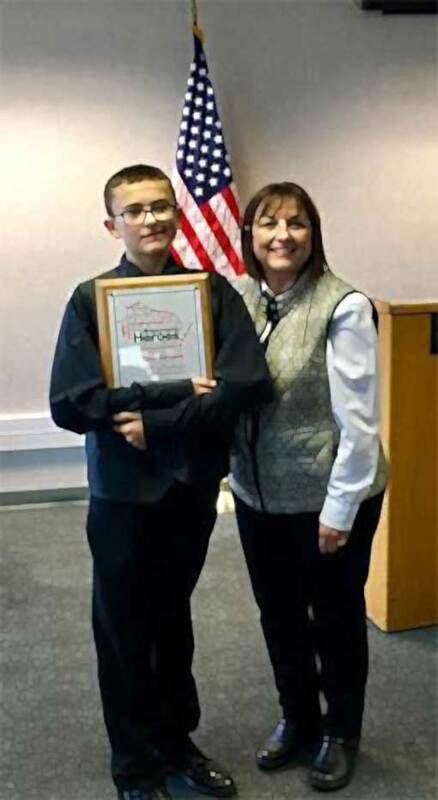 Luke has been featured on Fox 11’s Making a Difference and recognized with many awards including Helpful Hearts Award, Youth Award for WI council of administrators of special services, youngest volunteer Rock Star Award WI, Gold Presidential Award, Daily Point of Light Award, WPS Youth Award sponsored by United Healthcare, and the Prudential Spirit of Community Award, and was presented the Wisconsin Hero Award by Wisconsin’s First Lady Tonette Walker (see press photo). Luke feels honored to receive these awards but looks at it as an opportunity to get his work/word out further about acceptance, bullying, and the missions of the organizations he volunteers for. Luke hopes other will be inspired and pay it forward even if it’s one small act of kindness like standing up or just being nice to someone. A smile goes along way.